Click on the chart if it appears small. We’ve been seeing a nice stable market here with a decrease in days on market from 62 to 51 and a solid increase in sales price for both detached and attached homes. These are year over year numbers so even though the increase in price is fairly significant, it’s not a scary “OMG it’s another bubble” number. 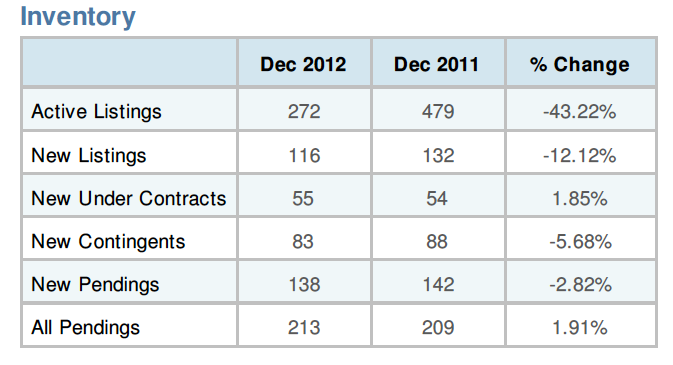 As you can see in the next set of numbers, inventory continues to be low, significantly lower then a year ago. As long as that number stays down there, buyers can expect to see price creep especially as more buyers come out in the spring. If inventory rises significantly then I think we’ll see smaller price increases. 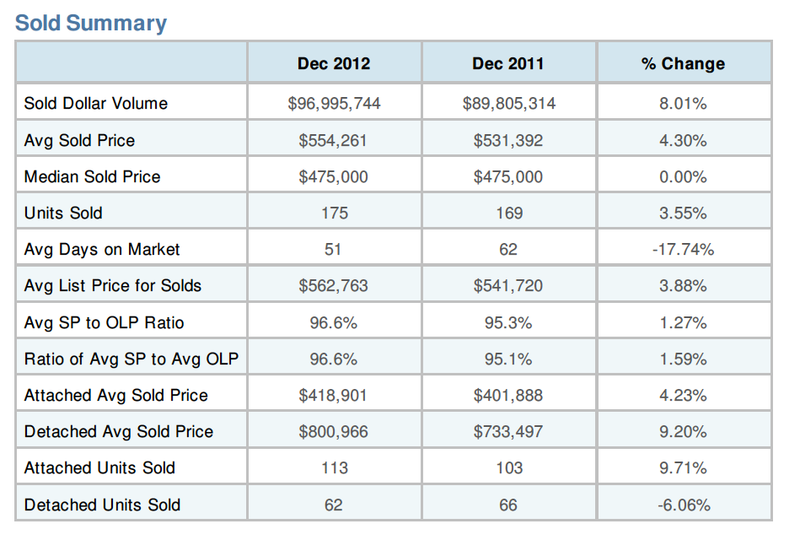 These statistics are courtesy of the MRIS multiple listing system. They do not include for sale by owner and other property transfers that were not included int the multiple listing.